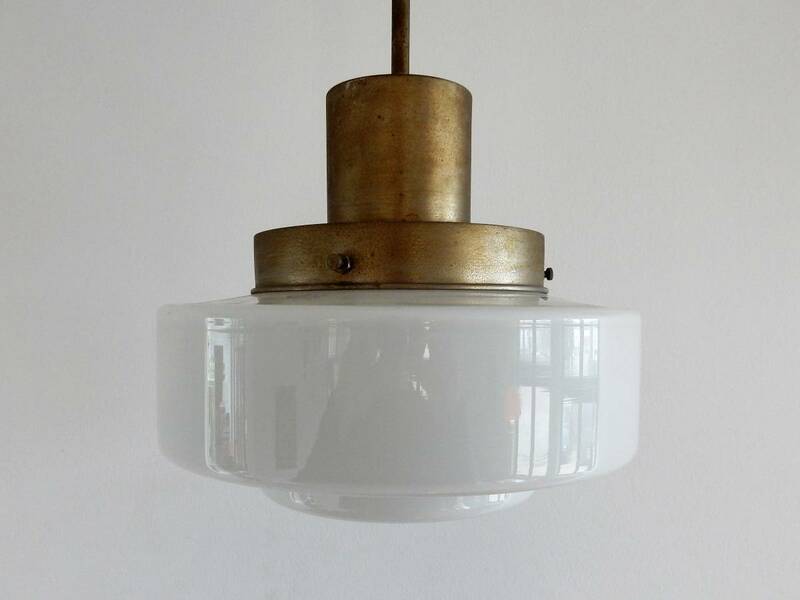 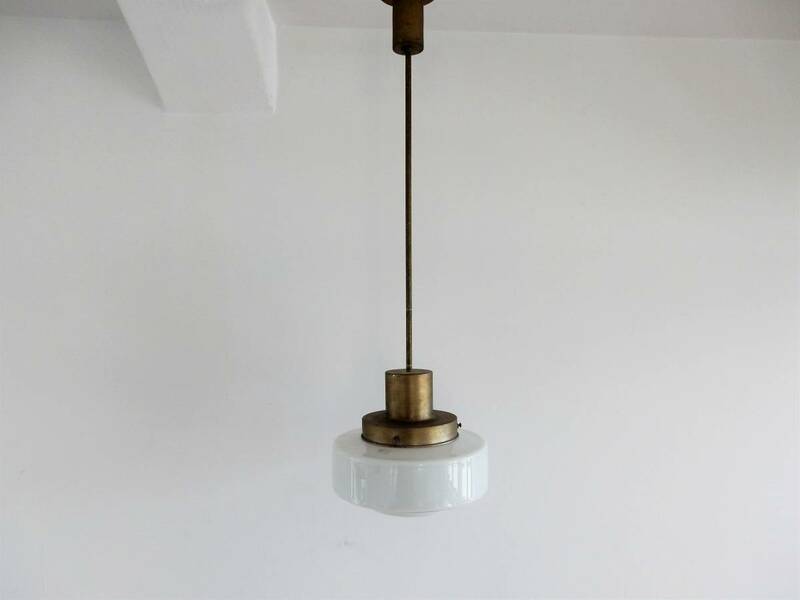 This is an impressive Art deco pendant lamp from the Giso collection, Model GISO No. 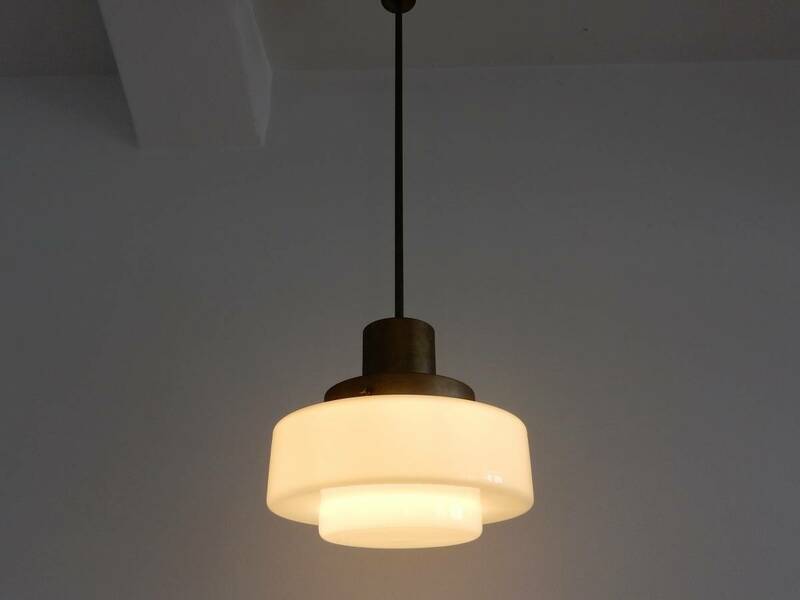 46, designed by W.H. 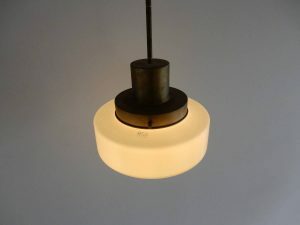 Gispen in the late 1920's. 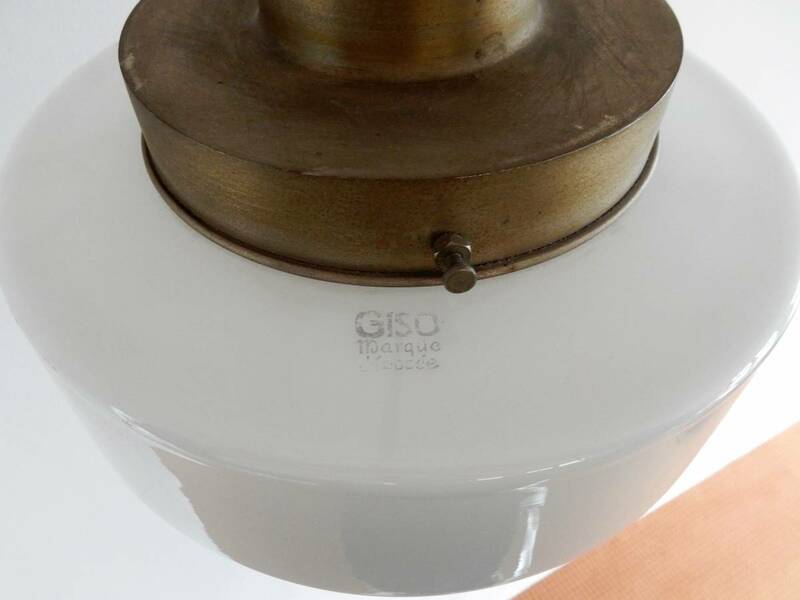 Giso glass is clear crystal glass with a thin layer of white opal, that gives a very nice diffuse light. The great thing is that the glass does still have the original GISO label on it 'GISO, marque deposee'. 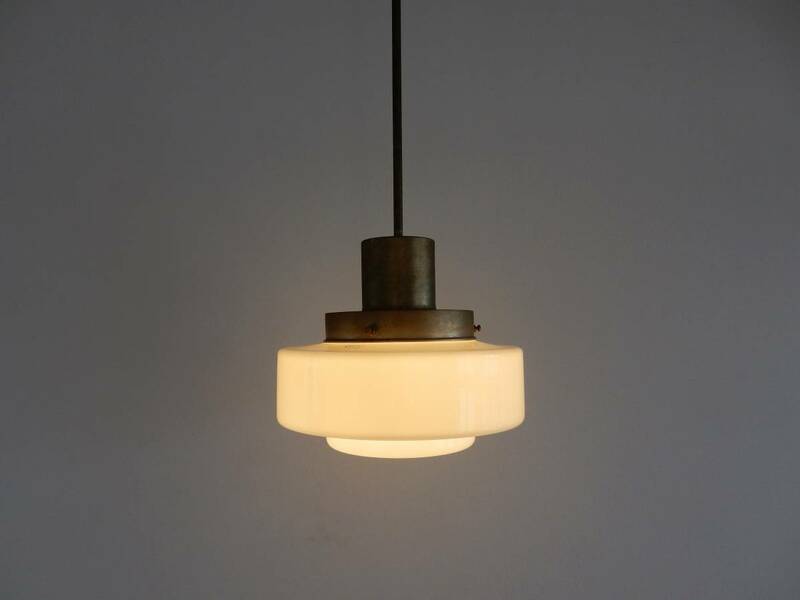 The lamp is in a very good and fully original condition with some signs of age and use to the metal parts. Documented in the Giso catalogue no. 29 (1931), page 16. A rare original item.